Custom built Ridge Inflatable, built in England. Has twin 175 horsepower engines. Cruises at 50 MPH with 8 divers and 16 cylinders. 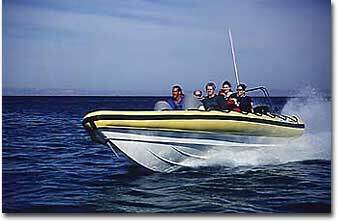 She is fully equipped with VHF radio,oxygen,first aid,fish finder,GPS & stereo.